Wedding Rings	There are 76 products. Wedding rings, medium to heavy weight, hand-finished in the UK and available in ladies’ sizes from I to O and in gent’s sizes from P to Z. Diamond set and bespoke wedding bands are made to order in your size. We will contact you with an expected delivery date. 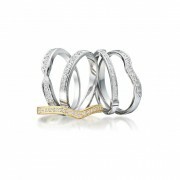 View our wedding ring size guide.